Suleskard Fjellsenter is located about 2 hours with car from Stavanger, and about 1,5 km from the turn into the road to Lysebotn, and ca 25km from Kjerag (Øygardsstøl). Only 100m to local grocery store, «Fjellbutikken». The cottages at Suleskard Fjellsenter are new and modern. The big cottages have shower/WC, fireplace, living room, two bedrooms, kitchen and fridge. Small cottages have one bedroom, , living room ,with kitchen and shower/WC. All cabins have internet access, WI-FI. 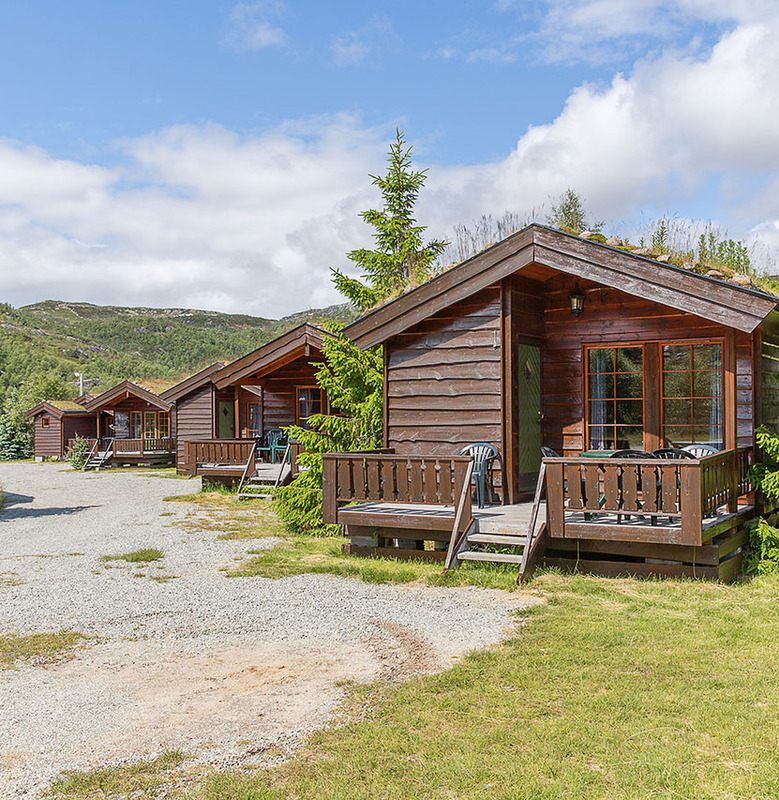 Suleskard Fjellsenter offers canoe renting, nice beach and a short distance to the winter sports’ center at Ådneram.